Medscape offers an excellent review of common rashes encountered during clinical years. Highlights include Erysipelas, Intertrigo, Molluscum Contagiosum, hand-foot-mouth disease, Pityriasis Rosea, and VZV rashes. 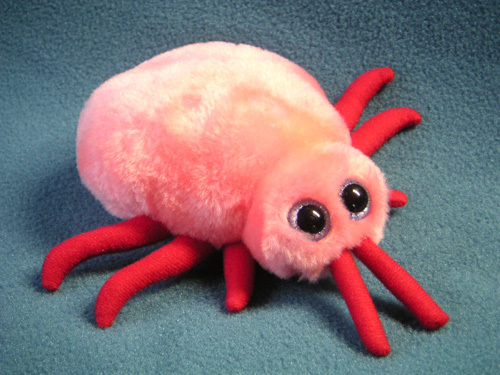 You’ll liekly encounter the bedbug during your outpatient rotations. Here is an excellent review from Clinical Correlations. Cimex lectularius, commonly known as the bedbug, had been a pest of yesteryear, until recently… Host reactions to bedbug bites are widely variable. Most people do not have a reaction; others may develop pruritic erythematous papules, or local urticaria with wheals or welts. Bullous skin lesions and systemic anaphylactic reactions have also been reported but are rare. The lesions may be evident upon awakening or may appear a day or two later. They are the result of host hypersensitivity against foreign antigens in bedbug saliva; the bite itself is harmless. The lesions are usually pruritic, and they can become superinfected after intense scratching. Secondary skin lesions such as cellulitis or folliculitis may also develop. The diagnosis is not always clear, especially without a suggestive history. The eruption has been mistaken for scabies, allergic contact dermatitis, dermatitis herpetiformis, and even chicken pox. [7,8] Lesions in a linear or clustered pattern should raise the suspicion of bedbug bites, although other insect bites can present in similar manner. A detailed history exploring possible sources of exposure is helpful. The most common lesions are pruritic papules, which spontaneously regress over one to two weeks, but often leave behind the telltale sign of postinflammatory hyperpigmentation. fibrous growths that uncommonly occur in cases of wound healing. They present predominantly in blacks, and any type of skin piercing can affect those predisposed to the disease. The first-line therapy is injection of steroids into the keloid, with a 70 percent response rate. Surgical excision alone is not effective, as this option is often followed by a high frequency of recurrence. There are many causes of hair loss including medications, thyroid disease, iron deficiency, even having a baby. Most of these causes result in temporary hair loss — the hair eventually grows back. Some types of hair loss, however, are permanent; this is called scarring or cicatrical alopecia. A common scarring hair loss in women is traction alopecia. Traction alopecia occurs when hair is pulled too tightly for long periods of time. It occurs often in girls and women who braid their hair, but can also be seen in women who pull their hair back tightly in a pony-tail or a bun. Over months and years the hair loss becomes permanent, and cannot regrow. It can be seen in men, but is more common in women. It can also affect children as well as in adults. 1. Pick only pimples that are ready to be popped. The white blood cells will have collected and be walled off in the follicle, forming a visible white head on the surface. If it does not have a white head, then squeezing, mashing, poking, or prodding will only make it worse. 2. Wash your face and hands with warm water and soap and pat dry. 5. Gently wipe the pimple and surrounding area with [alcohol]. 6. With the [sterilized] needle nearly parallel to your skin, impale the head of the pimple. If possible, stay parallel with the skin and gently push the needle thorough the other side of the pimple then pull up, opening the top of the pimple. 8. Using even pressure push down, perpendicular to your skin, around the pimple. Do not squeeze the pimple between your thumb and fingers. Squeezing can cause the pustule to rupture backwards, deeper into your skin, creating further inflammation and turning a little pimple into a big, red nodule. 9. Gently wipe the area with [alcohol]… apply some witch hazel if you have some, or just hold light pressure for a minute or so. 1. Work harder than everybody around you. Imagine yourself the Tiger Woods or Lance Armstrong of your medical school class. Be the first one in and the last one to leave the gross anatomy lab. Round on your surgery patients at 4.30 AM. (Yup, that means getting up at 3.30 AM). Know the surgeries you will participate in that day. Know the anatomy you will see in the OR like you know your own name. 3. Accept criticism gracefully. If your resident says you’re wrong, then you’re wrong. Move on. 4. Never complain. Never, never, never complain. Not to your classmates, not to your intern or resident, not to your attending, not to your girlfriend or boyfriend, not even to your mom. 5. Realize that life isn’t fair. Sometimes you will deserve to get a question correct or will deserve a better grade. It’s part of the game; it’s part of life. Just pick your ball up and move on to the next tee. 9. Elevate the game of everyone around you. Lead. Make your study group the best in the class, your team the best team on the wards, your class, the best class in the school. 10. Take care of your patients. In the end, it’s all about them (and about what you do for others). If, after all the above, you give up your precious exam study time to sit with a lonely patient for 10 minutes, then you have what it takes to get into dermatology. “The standard way physicians do a diagnosis now is to cut out a mole and look at a slice of it with a microscope,” said Warren Warren… “What we’re trying to do is find cancer signals they can get to without having to cut out the mole.”The distributions of hemoglobin… and melanin… serve as early warning signs for skin cancer growth. But because skin scatters light strongly, simple microscopes cannot be used to locate those molecules except right at the surface. Warren’s group has now developed a technology for coaxing both hemoglobin and melanin inside questionable skin moles to emit light by exciting them with highly controlled laser pulses. The innovation uses a delicate interplay between two laser beams, each emitting a different color of light. To keep the skin from overheating in the process, the lasers must also be able to pulse on for only femtoseconds…at a time. “We have proposals pending for developing a compact laser system that could be sitting in a dermatologist’s office here at Duke within three years where we could actually have the first human demonstrations,” Warren said.